Ageratum and Petunia. 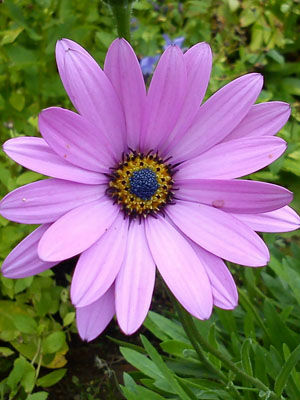 African daisies look best when planted in groups or masses, perhaps framed with cineraria, ageratum or annual verbena. Osteospermum make great flowers for containers.